Why would I need self storage in Waukesha, WI? There are a variety of reasons why you might need self-storage in Waukesha, WI. How much is a storage unit in Waukesha, WI? The cheapest storage unit in Waukesha, WI is $45.00 per month. What size storage units do you have available in Waukesha, WI? In Waukesha, WI we have sizes that range from 5'x5' to 10'x30' to suit your storage needs. How much is it for a 5'x5' storage unit in Waukesha, WI? The cheapest 5'x5' storage unit in Waukesha, WI is $45.00 per month. 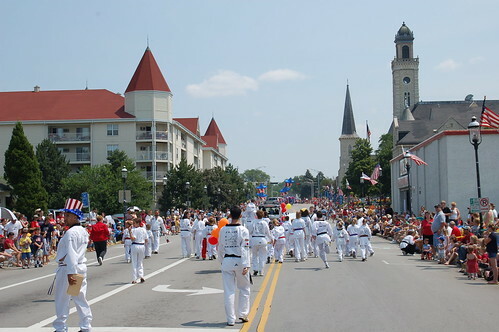 Waukesha is a lively suburb just 20 miles west of Milwaukee, home to a thriving community and boasting numerous attractions and cultural points of interest. Historical destinations like the Clark House Museum, Ten Chimneys and Old World Wisconsin provide an interesting look into the city's past. On the shores of Pewaukee Lake, Waukesha Beach has grown from a small shoreline favored by locals to a swimming hotspot that attracts tourists from around the Milwaukee metro area. Shortly after the Louisiana Purchase in 1803, the area around Waukesha was settled by a mix of pioneers, land investors and fur trappers. Around the turn of the century, Waukesha began to welcome relatively upscale residents and visitors, thanks to the many natural springs in the area. It was advertised as a "spa town," where tourists could come to relax and take advantage of the purported healing properties of the spring water. The small town was flooded with visitors, including Richard W. Sears (founder of Sears and Roebuck), who spent his retirement and final years in Waukesha. The Waukesha area is an important player in the Milwaukee-area economy, and major employers include companies in retail, manufacturing and business services. The area's largest retailers are Kohl's and Target, while Waukesha's second-largest employer is Quad/Graphics, a commercial printing company. Health care employers are plentiful in Waukesha, and the biggest companies are ProHealth Care, GE Healthcare, Community Memorial Hospital and Wheaton Franciscan Healthcare. Between them, these companies provide a large number of local jobs. If you're going to be joining the Waukesha job market, it's useful to know that the area's biggest industries are trade and transportation, professional and business services, education and healthcare. These industries are also growing quickly, which means you can expect to see job availability and new, open positions on a fairly regular basis. Students in the area attend School District of Waukesha, which serves students from pre-kindergarten through high school. Along with its traditional neighborhood schools, the district has five charter schools and two magnet schools for STEM education and arts and design. The district also operates three specialty schools that allow students to specialize in language, engineering and professional skills. In addition, you'll find a few private (mostly faith-based) schools dotting the community. Utilities: We Energies and the Waukesha Water Utility are the primary utilities providers in the city. Garbage and Recycling: Advanced Disposal facilitates the collection of trash and recycling. Be aware that the company will not pick-up large boxes and other recyclables that are not broken down to fit in the disposal bin. You can request appliance and bulky item collection, though there are certain limits. Transportation: Waukesha Metro Transit and the Milwaukee County Transit System manage several public bus routes in the area, including those providing transportation to Milwaukee. Neighborhoods on the northern side of the city have easy access to Waukesha County Airport and Interstate 94; those in central Waukesha can enjoy proximity to U.S. Highway 18; and southern neighborhoods can easily access Highway 59. Home prices are fairly affordable in Waukesha, and just slightly higher than the national average. Our lowest priced units in Waukesha, WI average $52.50 per month. 85 people have reserved units in Waukesha, WI in the past 30 days. There are 2 locations within Waukesha, WI's city limits. There is 1 location in Waukesha, WI that offers AC and Heating features.